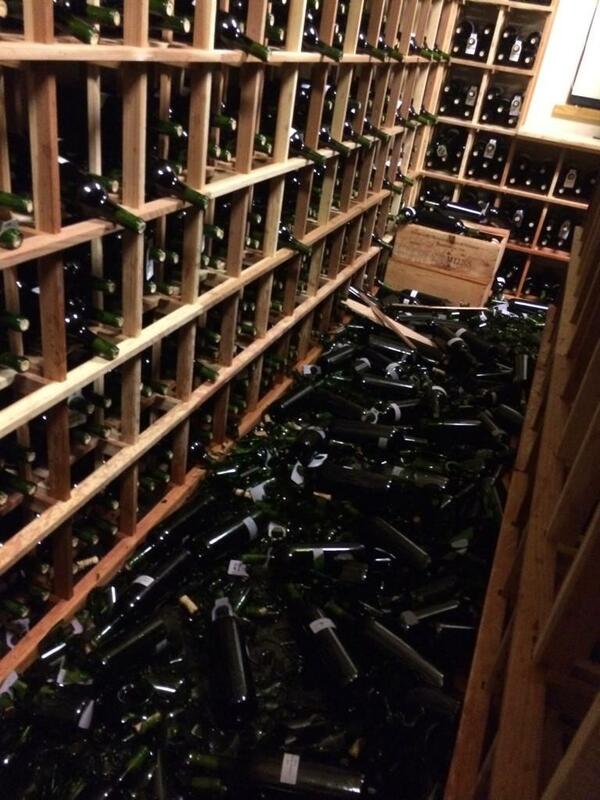 Today, Sunday, August 24th, a 6.0 quake and several aftershocks hit the Napa Valley area near American Canyon. There is fairly significant damage and over 70 hospital admissions as of this moment. These photos show some of the damage. Let’s pray for all affected and trust that the wine industry will emerge relatively unscathed from this event. Wow! It’s a good thing the quake occurred at 3:00AM of the casualty rate would have been much greater. 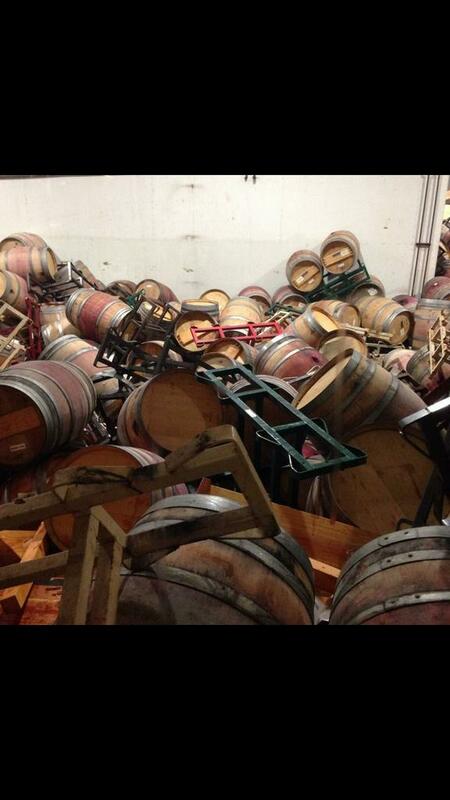 I wouldn’t have wanted to be in the barrel room during the quake.